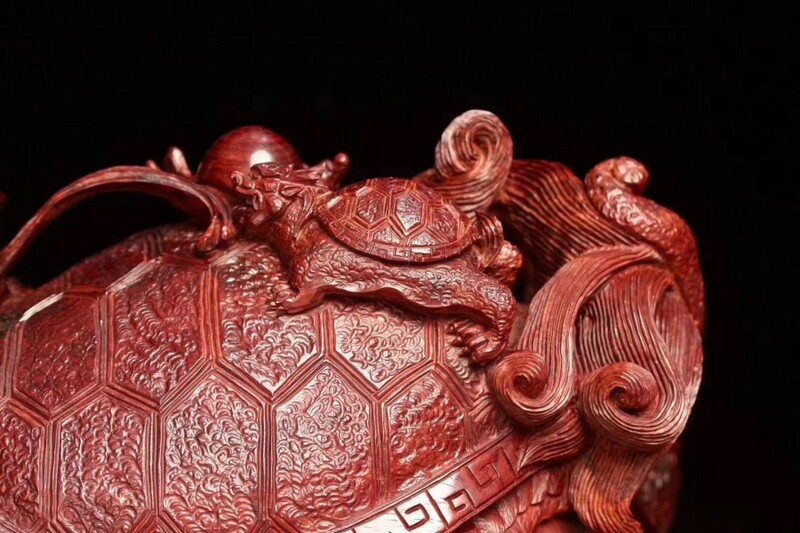 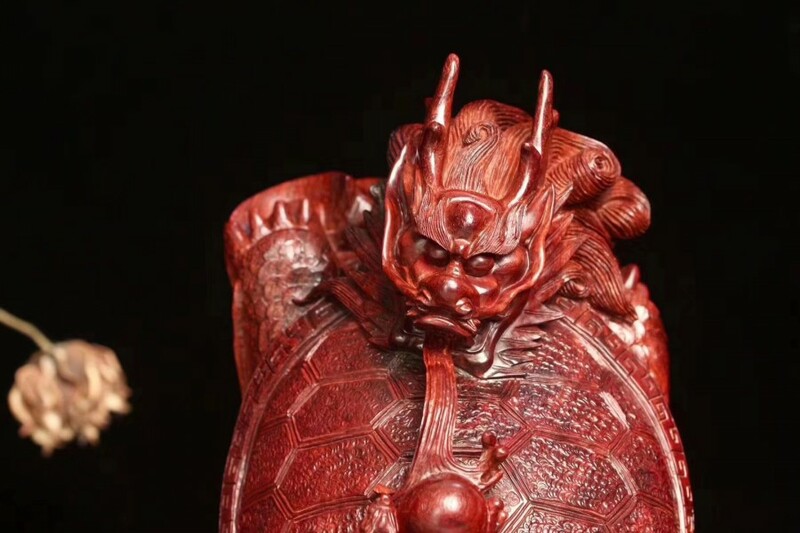 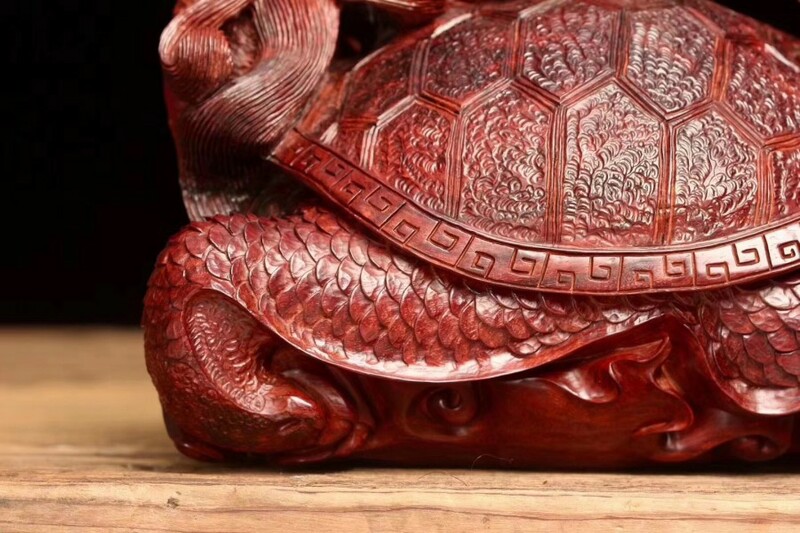 Feature：“Dragon Turtle”(1*) , handmade, wood carving (2*), Zitan - Pterocarpus santalinus(3*). 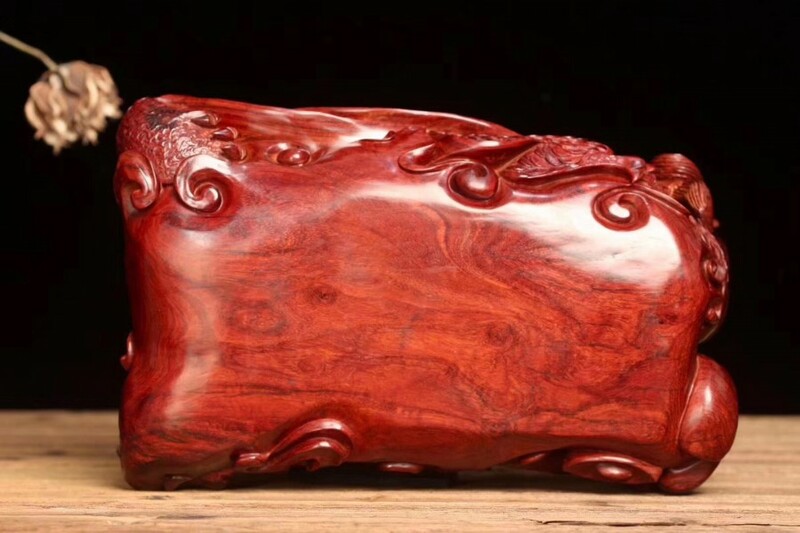 Size 29x18x17cm, weight 3.76kg. 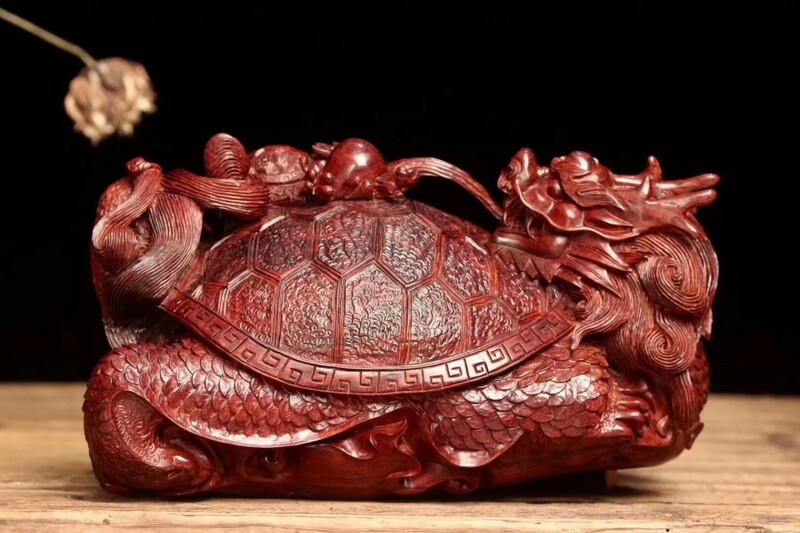 1* A dragon turtle is a legendary Chinese creature that combines two of the four celestial animals of Chinese mythology: the body of a turtle with a dragon is promoted as a positive ornament in Feng Shui, symbolizing courage, determination, fertility, longevity, power, success, and support. 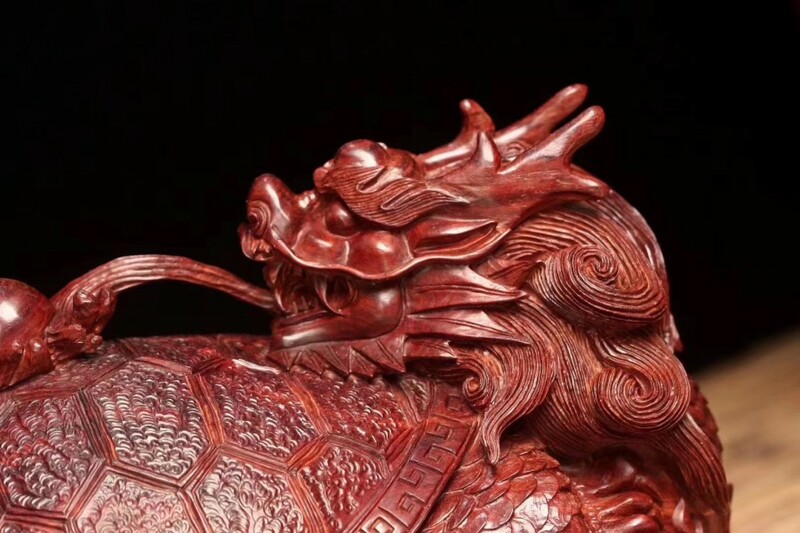 Decorative carvings or statuettes of the creature are traditionally placed facing the window.